Protect your investment with Ohuhu's Water and Wind Resistant Bike Cover. Repels from rain or shine, keeping your bike looking as good as new. Made with strong, Oxford Fabric to protect against scratch and stains. Ergonomically designed with elastic bottom hemming, buckle strap, and 2 cut out bike lock holes allowing you to easily cover and protect your bike. 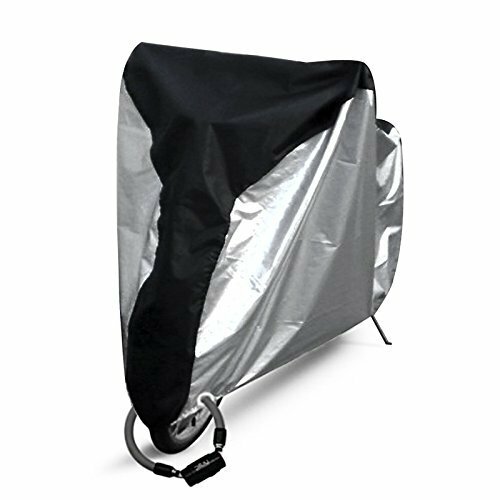 This large bike cover ensures the cover to fit any bike of up to 30" wheel size.